Bling On A Roll 3mmX2yd - DARICE-Bling On A Roll. Create brilliant, elegant accents to your accessories with bright, glittering mesh. Simply cut the flexible roll of diamonds into long ribbons, perfect squares, diamond shapes, or simply trim to size. Use the bling to make the perfect accent for holiday and party decor, floral arrangements, scrapbooking and more. The versatile mesh easily glues or tapes to a variety of surfaces. There are 8 rhinestones per row. 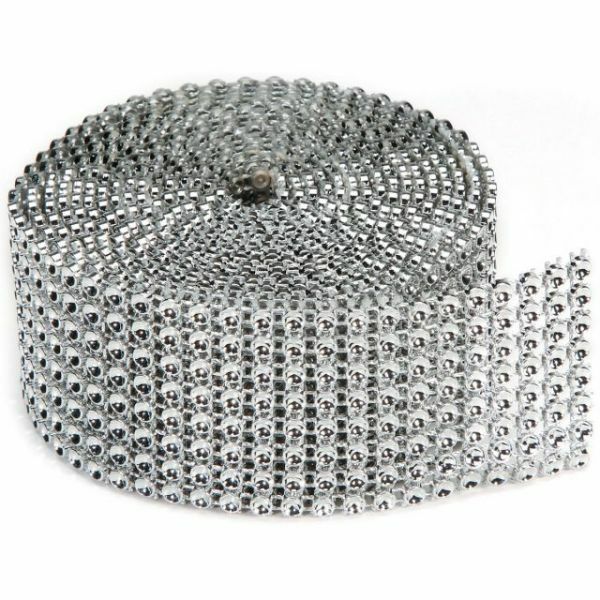 This package contains 2 yards of 3mm wide bling on a roll. Design: Silver. Imported.